Getting a good night sleep can significantly improve your health. It is actually at the core for your body to help resist environmental threats, weight management, easing stress and overall general wellness. If you are looking to aid your sleep, this DIY Bedtime Linen Spray may be the answer. My toddler is currently going through the toddler tantrums, which winds him up at night. 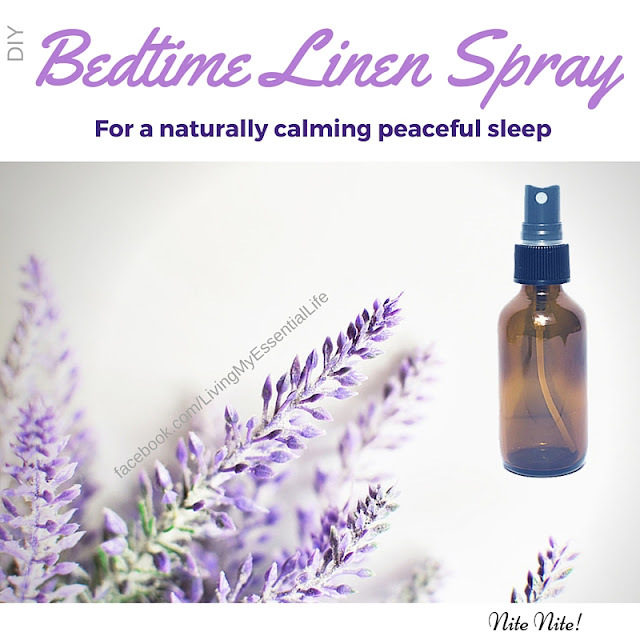 We currently diffuse essential oils in his room at night, but because he recently started sleeping with a pillow, I thought I would create this linen spray to help promote calmness and rest. Place the lid on the bottle and shake for about 30 seconds to mix the two. This ensures the oil is distributed nicely because if added to the water it won’t mix together. Open the lid and add the water. Then replace the lid and shake for 30 seconds to mix. Spray on your sheets, pillows, blankets and stuffed animals. Sleep well.